The Salvation Army in Schenectady, New York is a Christian organization dedicated to serving the needy without dicrimination. We have a large group of members and volunteers who help us to this end. We try to meet physical, material, spiritual and social need of both youth and adults in our community. Dave and Ronnie just moved into town with their three little girls. Having secured an apartment there was no money left to buy diapers for the girls. They turned to The Salvation Army for help. When they arrived, they were given a meal at our feeding program and an officer sat with them and listened to their story. That afternoon the officer visited their apartment with the needed diapers as well as blankets, pillows, groceries and a small toy for each little girl. After all, it was Christmas time. It’s been 2 years since that cold December day that we met Dave and Ronnie and hard times are not over for them. Though they still struggle to make ends meet, they have become regular volunteers at The Salvation Army, desiring to pay forward for the gifts they received. 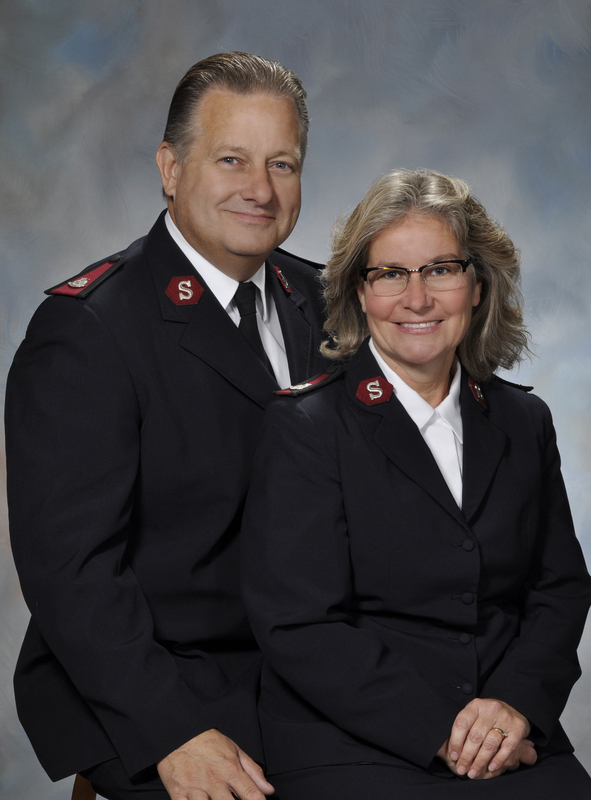 Dave and Ronnie credit the faith community they’ve found and friendships they’ve established at The Salvation Army that provide the strength to carry them through each day. Dave has become a driver not only for a local taxi service, but also for our Sunday school pickups. He helped out with our emergency disaster services during recent flooding. Ronnie is a regular at our women's programs, and the three little girls were dedicated to God at a recent Sunday Morning service. We have a breakfast and lunch feeding program which serves up to 300 persons a day. This program, with the help of staff and volunteers, serves hot meals and a comfortable place in which to eat them. A Social Worker and supervisors are there to answer questions and meet individual needs. Our food pantry is available three days a week, Tuesday through Thursday, to serve the needs of individuals and families in a food crisis. We provide for three days of three meals for each individual in a family. The Evangeline Booth Miracle Home is a 21 bed shelter for women and their children in crisis. Rooms and meals are provided on a temporary basis, until those who are experiencing homelessness due to family crisis, abuse or financial difficulty can get back into a more permanent and secure housing situation. Youth programs include music instruction, character building, religious and recreation programs for children. Volunteers and staff work with the children to assure learning, safety, and growth for young people in our community who may be in need of direction or who have a desire to grow in new ways and in new opportunities. We send children to our summer, sleep over camp in Penn Yan, New York. Camp Long Point is on Seneca Lake and is a wonderful "fresh air" opportunity for many of our chldren from an urban environment. Women's programs are available to those wishing fellowship and support. Home League is a ladie's program involving four areas of focus: Worship, Education, Service and Fellowship. The ladies meet once a week and plan activities address these areas of interest.